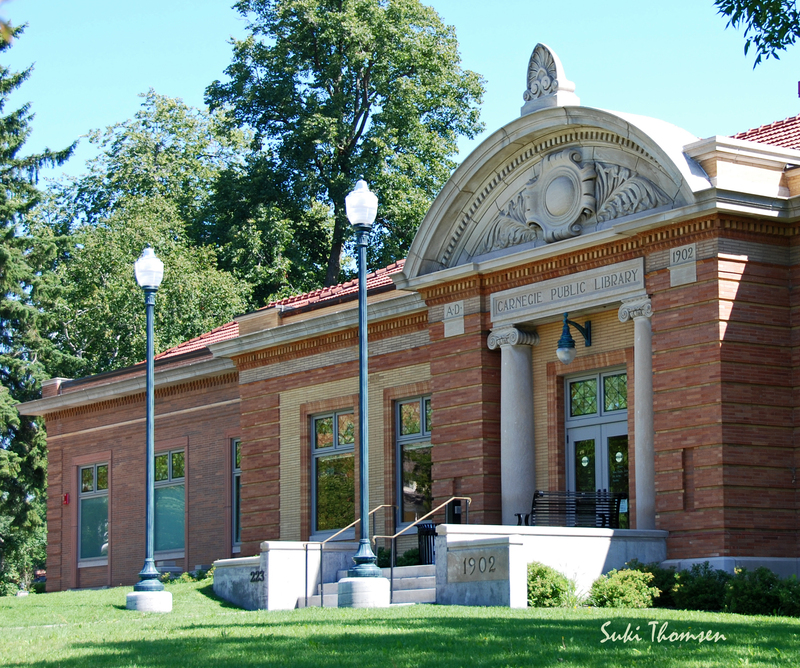 Stillwater's Carnegie Library represents well both the historical role and the ongoing development of community libraries. Stillwater citizens established a library in 1897, reflecting community commitment to an educated citizenry. At the same time, industrialist Andrew Carnegie began distributing a vast series of charitable grants intended to improve the well-being of communities. 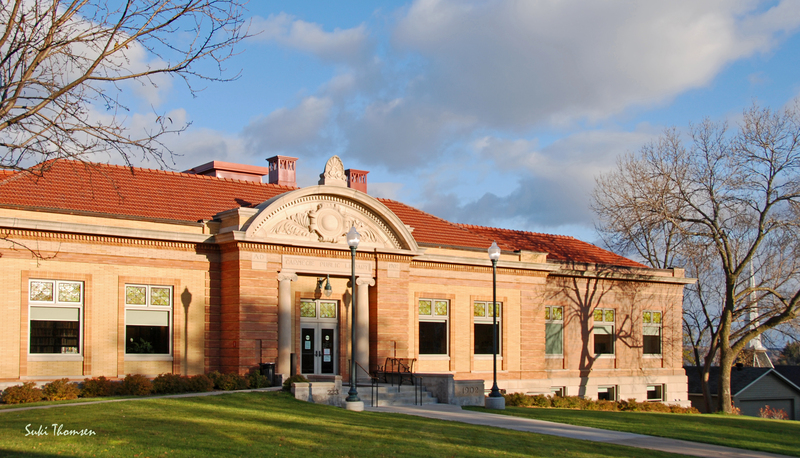 Initially donating, among many other concerns, large sums for community centers that included libraries and recreational facilities, by 1896 Carnegie focused these types of community grants on dedicated library buildings. Carnegie grants required an application process, and came with conditions. The community was required to provide a building site, and one large enough to accommodate future library expansion. The community was also required to fund the library annually at a rate of at least ten percent of the grant amount. With these hurdles overcome, a national library association journal reported on Stillwater's progress: "Mr. Carnegie...would contribute $25,000 for a new building. As the city already appropriates $3000 a year for library support, it remains only to provide a suitable site." 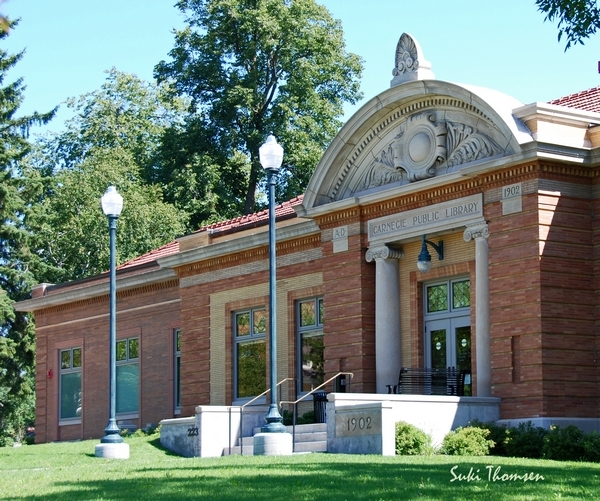 Funded at more than twice the typical Carnegie grant amount, Stillwater's library is one of 65 Carnegie libraries found in Minnesota, and one of 1669 constructed nationally. Ultimately, the library was built with an address on North Fourth street. When the Minnesota landscape firm Morell and Nichols created a comprehensive plan for Stillwater development in 1918, they recommended that this area be devoted to city functions, and soon an armory and a post office were located nearby. The 1902 building in the Beaux Arts style was typical for an institution devoted to learning, and the interior plan matched closely to that which was soon to be emphasized by James Bertram, who oversaw Carnegie's library developments (although he was no fan of fireplaces, which is a Stillwater library feature). The era of Carnegie's generosity for library construction grew to a close in about 1916, as an economics professor reported to Carnegie that while library buildings were good for communities, knowledgeable library personnel were increasingly essential. In the meantime, the Stillwater library continued to serve the community. Realizing Carnegie's foresight regarding expansion, library additions were made in 1973 and 2006, with extensive renovations in 1987 and 2006. Source(s): "Carnegie Libraries: The Future Made Bright." U.S. National Park Service - Experience Your America. Web. 22 Apr. 2011. <http://www.nps.gov/nr/twhp/wwwlps/lessons/50carnegie/50carnegie.htm>. The historic address for the library was 223 4th St N. After it was renovated in 2006, its address was changed to 224 3rd St N.